Round off the summer break with a Festival of Cycling on Saturday 3 September. 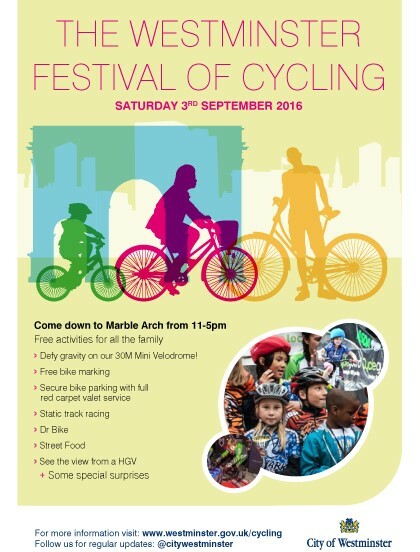 Track racing and a 30m mini velodrome will transform Marble Arch for the day, with free bike marking and Dr Bike on hand to assist with all your maintenance needs. The fun starts at 11am and goes on until 5pm. Food will be available all day, provided by local restaurants from the Marble Arch and Edgware Road area, organised by Marble Arch London.